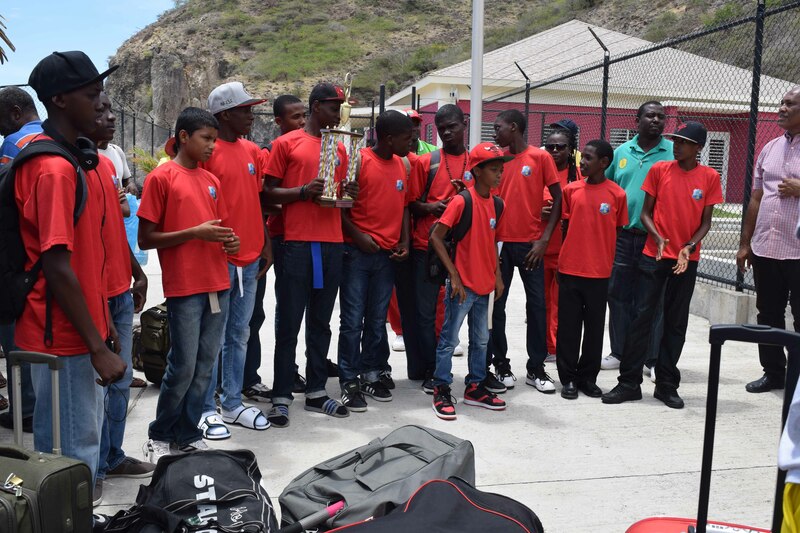 The 2014 Under-15 Leeward Islands cricket championship was just completed in St. Kitts-Nevis. The Montserrat players returned home today by Ferry at mi-day. The Montserrat Under-15 cricket team lost to Nevis and won Antigua, St. Kitts and Anguilla in good fashion. They returned to a big welcome by parents and fans. The team travelled with Ben Greenaway, coach and Vickie Locker Asst. they both managed the players and reported they were most disciplined.